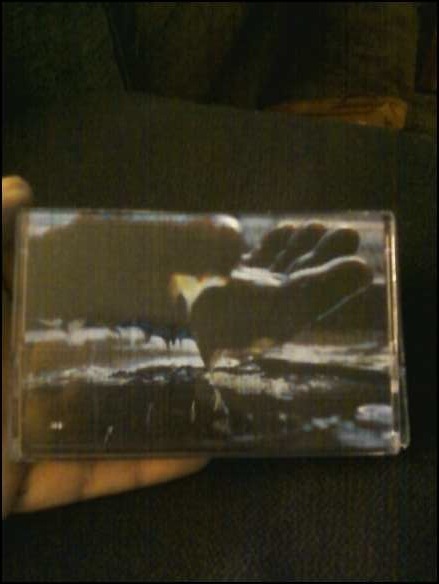 3 newest factotum tapes. finally getting caught back up after a long hard year of dealing with cancer with my father. since he beat the big c, life has been a whirlwind of fests and tours and short runs of tapes for these various fests and tours, im just now getting a lot of this stuff "officially" released. at some point, i"ll have to post the stuff that slipped thru the crack and went oop before it was ever really released. so far this year has shown no signs of slowing down either. toured to and played sux by sux west, getting ready to tour to and play end tymes festival, a little bit of time to recover and catch up on things, then tour to and play summer scum again this year. so im trying to stay on top of the catch up process and moving forward with the newest releases. hope all is well with all of you. and thanks for all of your support. couldn't do this without you. 4th developer full length on factotum. stretching out the time a bit more on this one. field recordings, percussion, electronics, found sounds, and the like are still collaged and further cut up. but sounds and events seem to settle in for longer stretches. sounds a bit more composed and less on the fly free improv tape collage. 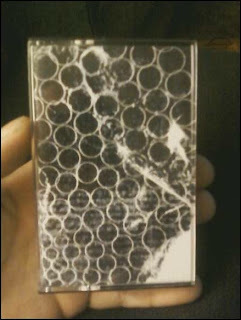 these were originally made for summer scum fest in buffalo and for milwaukee noise fest... the cover is slightly different than the fest edition. dayton ohio trio of justin lakes (pusdrainer, breached hull, etc. ), matthew reis (developer, teeth collection, etc) and britney blackwood (chanteplure, coffin mouth). grim vibes from the creep merchants that are muck. tape loops, and metal scrap and clang over a bed of low end electronics and synth. 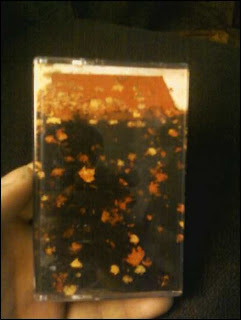 much harsher than the double tape. a small number of these were available for muck's fall tour in 2012. the double tape + zine, cdr, and original 10 or so copies of this were all sold out on tour or shortly there after. all may be re-issued on other labels eventually. this c40 gets a second run from factotum. be on the look out for us at summer scum this year, and a short tour with fervour noir right after. releases coming soon on depravity, new forces, foxhole atheism and the always amazing live bait. "it's really great, nothing happens" - overheard description of an unsemble performance. an entirely acoustic (aside from the build in speakers of zeh's shoebox tape decks) group of ohio sound artist working on group free improv that focuses on quiet. cincinnati's jon lorenz and john rich (sax and clarinet) of wasteland jazz unit and public housing, columbus' ryan jewell (snare, percussion), bowling green's jason zeh (tape manipulation), and dayton's matthew reis (banjo, percussion) of developer & teeth collection. two side long live sets, one with the whole group, one a trio of lorenz, jewell, and reis. usa $3.00 first item, $0.30 each additional item, double tapes counts as two. overseas seas, please email for shipping quote. for out of print factotum releases, factotum related artist, other projects by factotum artist, and even out of print developer, teeth collection, and other projects released on other labels.